MBC Iraq To Be Launched Next Month! MBC Group is planning to launch MBC Iraq on February the 17th! This decision was a result of Dubai’s headquarters and MBC Group’s Chairman Sheikh Waleed al-Ibrahim’s vision of the five-year strategy of expansion and growth he announced early 2018. Many efforts are currently undergoing to enhance the group’s entire digital services including its flagship Shahid and Shahid Plus demands. MBC’s relationship with the Iraqi audience has been ongoing since the establishment of the company in 1991. Iraqis have contributed to the growth of the group with their hard work, appearing in many dramas, as well as talent shows and more. Therefore, now is considered the perfect timing to finally highlight the establishment of this relationship, and most importantly, increase the localized production, and offer opportunities to the many Iraqi talents through the group’s media possibilities. MBC Iraq is going to be a channel that is suitable for all family members and all ages. It will air a diverse selection of programs ranging between dramas and comedies. Bath Mubasher, a comedy program, is scheduled to be aired featuring Iraq’s top stars Sabah El-Hilaly, Bassem Baghdady, and more. 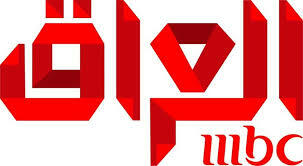 Two days prior to the launching, the channel will air specials to its Iraqi viewers. That’ll include a broadcast of “Winter at Tantora“, a Saudi cultural festival that will feature a number of Iraqi singers. Also, a debut for season six of the famous talent show, ‘Arabs Got Talent’, on February 16th at 9:00 PM Iraq time. The channel will also offer a wide variety of top international movies and different programs. WE SAID THIS: MBC never fails to entertain us!